Which version is best for your client? 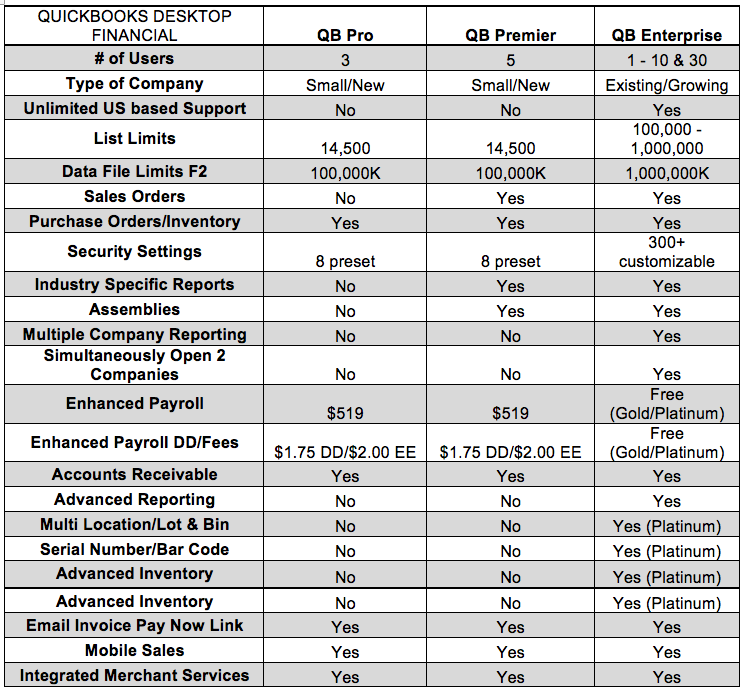 Look through our version comparison chart. 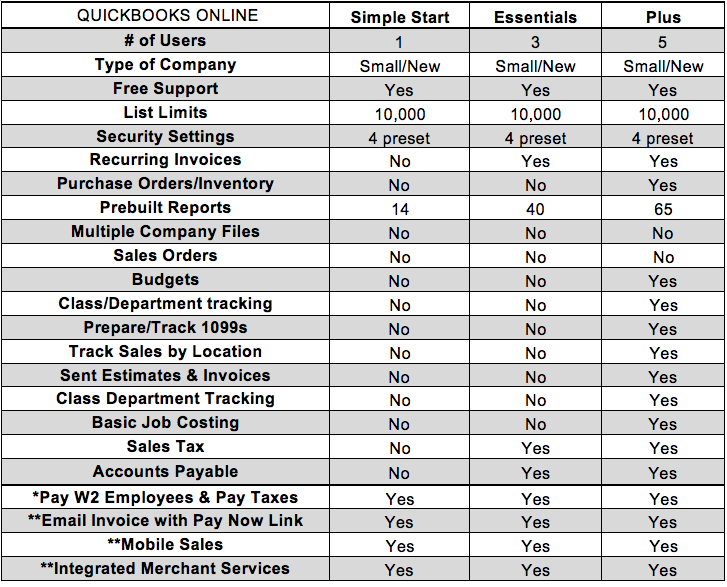 * Payroll requires a separate account. It’s very important that you sign up for the right one in the beginning. ** Credit, Debit & Gift Cards Require Separate account that we can get very low rates or pay as you go at no contract. 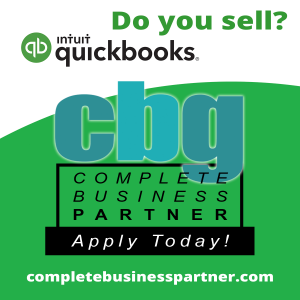 We don’t recommend QBO for Inventory or job costing as a stand alone solution.Please note there isn’t a version of QBO that prepares or tracks sales orders.